Steamed beans are one of the dishes that I prepare quite often. It’s our family favorite. Yes you heard it right. Even the kids LOVE it! 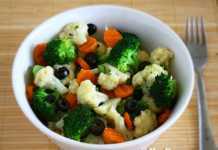 It is very easy to put together, tasty and of course healthy. So no wonder it has become a regular dish in our house. We get the thin French beans in plastic bag from Costco. It’s very easy to cook. Just have to throw it in the microwave oven for a couple of minutes and it’s ready. Looking for a light, yet filling side? 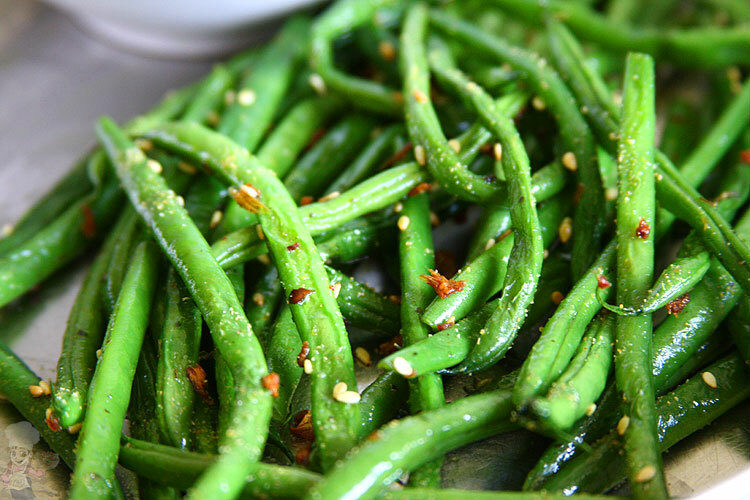 Try this steamed green beans recipe and be prepared to be surprised and getting repeated requests from your family. Serving it warm, especially to children will make it more appealing. Depending upon the quantity of the beans, microwave the green beans for 6-8 minutes. You can find the instructions on the pack itself. I simply follow it. 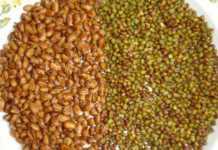 Once it is done, transfer the beans to colander and drain the excess water, if any. Heat a large skillet with oil. Add the cloves, chili flakes, almonds and sesame seeds and sauteed. Add some salt too. 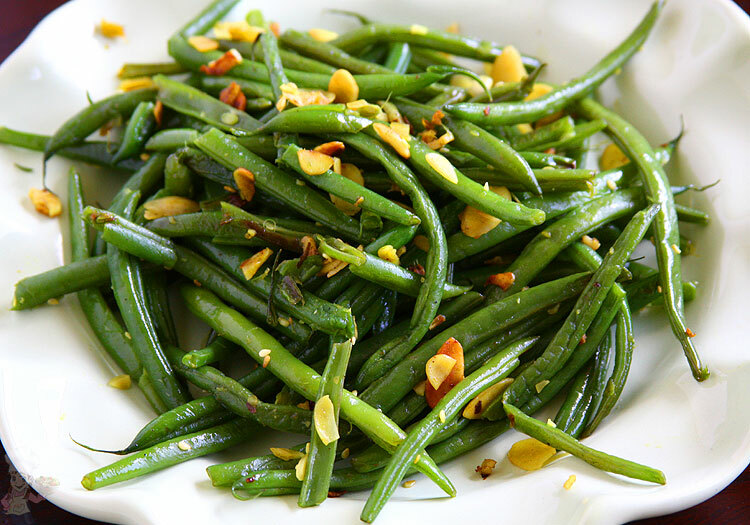 Toss the steamed green beans and mix well. That’s it! How simple can it get? Using sesame oil or butter gives a very good flavor to this dish. Add sliced almonds is optional but we love it because it gives a nice crunch. 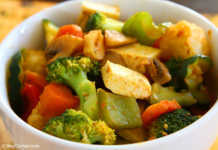 You can also add finely chopped ginger for more of an Asian flavor.